A patent application has been filed for T859 LYCRA HyFit [®] fiber, which is being manufactured in Waynesboro, Virginia before production rolls out to global facilities. Product samples will be available in each region so that customers may begin their own evaluation and qualification process. As with all LYCRA [®] brand fibers, this innovation is backed by unmatched technical support that helps diaper manufacturers keep their operations running efficiently. 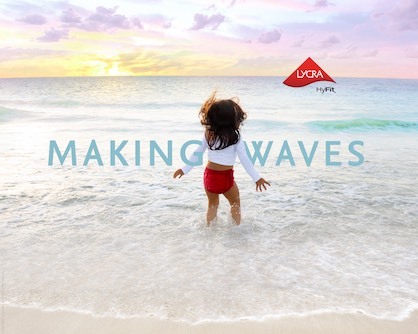 The LYCRA HyFit [®] booth at IDEA19 will be a place to discover everything new about the hygiene industry’s leading stretch fiber brand—from its logo, website and “Making Waves” marketing campaign to the new company behind it all—The LYCRA Company. On January 31, 2019, Shandong Ruyi Investment Holding purchased INVISTA’s Apparel & Advanced Textiles business unit, which now operates as an independent subsidiary of one of the leading textile and apparel companies in China.